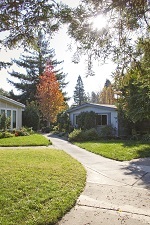 Have you been dreaming about retirement living or a weekend getaway in the heart of Napa Valley? This very private senior community presents a rare opportunity for affordable retirement living or second home in the heart of California's world famous wine country. Two miles of shaded walkways meander through the 44 acre beautifully landscaped park for your walking pleasure. 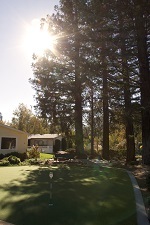 Practice your putting on the putting green or enjoy playing bocce on the bocce ball courts. 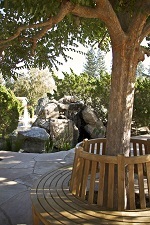 Magnificent landscaping that includes mature redwood trees and a beautiful lagoon in the two acre greenbelt. For additional information please contact us Monday - Friday, 9:00 a.m. to 12 noon and 1:00 p.m. to 4:00 p.m.